Nichole LaDue January was found dead of a gunshot wound to the head on the balcony of her third floor condo in Pass Christian, Mississippi, shortly before 10 a.m. on July 29, 2002. Rigor and lividity indicated that the 30-year-old had been dead for several hours. Her death was ruled a suicide. Nikki had been married for less than two years to Phil January, and both worked at the Grand Casino in Gulfport, LA. According to Nikki’s friends, Phil was a jealous and controlling husband. Her co-workers told the LaDue family that their formerly fun-loving daughter had become a loner, afraid to socialize on breaks because Phil had spies watching her. However, she did have something wonderful in her life – a five-year-old son, Zachary, from a previous marriage. She loved Zack with all her heart. 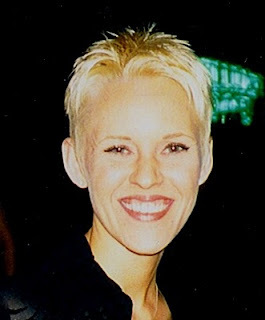 At the time of her death, Nikki was at a point of transition. Phil had suddenly decided they should relocate to Bossier City, LA, where he had found a job with Boomtown Casino’s security department working under his former boss at the Grand. Nikki had stayed behind to orchestrate the move. She told Phil that on July 29 he should drive to Pass Christian, rent a U-Haul and move the family’s belongings to Bossier City. She’d have everything ready to go. Nikki and Zack would then drive to Fort Lauderdale in Nikki’s car to spend a week with the LaDues. They would then join Phil in Louisiana. However, Nikki had a different plan known to only a few people. She believed her marriage to Phil was over and she had no intention of joining him in Louisiana. She and Zack were going to remain with her family in Florida and start a new life there. According to friends who knew of Nikki’s plans, she seemed both exhilarated and nervous. She was excited about going to live with her parents, but she also seemed scared. She and Zack slept at a friend’s place because she was afraid to spend nights alone in the condo. She also asked a male friend to show her how to use a pistol, because she wanted to be able to protect herself. That seemed to be an odd request since Nikki was known to be terrified of guns. On July 28, the day before Phil was to arrive with the U-Haul, Nikki apparently decided to treat herself to a preview of her new life as a single woman. She deposited Zack with a sitter and went on a date. She and her new friend, Eric, went to a club and then to his apartment, where he introduced her to some of his friends. From there they went to a sports bar. Meanwhile, Phil’s calls were piling up on Nikki’s voice mail. He even placed a frantic call to one of Nikki’s friends at work to find out where Nikki was. At about 8 pm, Nikki looked at her watch and exclaimed that she had to make a call immediately. She refused to use Eric’s cell and called from a pay phone. When she returned to the table she was visibly shaken and stated she had to leave right away. That was the last time Eric saw her alive, though they did speak one final time at 12:30 am, when she called his cell phone to swear him to secrecy about their day together. Nikki collected Zack and returned to the condo. The calls from Phil continued, eighteen in all. Phil subsequently identified those calls, made between 11 pm and 2:30 am, as a lover’s spat. He told police that he said some hurtful things to Nikki that might have caused her to search the condo for his gun so she could take her own life. Months later, the detective in charge of the case told Nikki’s family that this statement by Phil was the basis for his conclusion of suicide. According to Nikki’s family, Phil also told police that he was a 20- year veteran of the police force in Wichita Falls, Texas. They contend that was a total lie and that Phil was never employed by any police department in Texas. When one of Nikki’s friends arrived at the condo at around 9:30 am on the 29th to help load the U-Haul, she was let in by Zack. He said his mother was sleeping in the bedroom. The friend said she searched the condo twice for Nikki, but never looked out on the balcony. Minutes later Phil arrived and discovered Nikki’s body. On the table next to Nikki’s body was a pack of her Marlboro Medium 100’s. But they were to her left, not to the right where a right-handed person would normally place them. On the far side of the table was a pack of Marlboro Red 100’s with a lighter beside them. This second pack could indicate the presence of another person; There was also a portable phone, face down on the table, covered with blood. A pathologist was hired to do a private autopsy and told the LaDue family that Nikki died instantly. If so, who bloodied the telephone? The police failed to collect the phone or lighter as evidence; The bullet that entered Nikki’s right temple exited through a tiny hole above her left ear. Allegedly it then hit the wall 5 feet 6 inches from the floor and 18 inches to Nikki’s left, ricocheted into the aluminum doorframe on the same wall, and then bounced back to land in a chair on the next balcony. Police took no scene photos to document those facts. It seems strange that the exit wound was so small that three different funeral directors were unable to locate it, yet the bullet continued to travel at such a speed as to hit a wall, travel to the door frame, and have enough momentum left to fly back over Nikki’s head and land on a balcony six feet away. There is no police diagram of the path of the bullet, just a verbal description; and: would Nikki take her own life while the 5-year-old son whom she adored was in the same apartment? Would she leave him all alone knowing he could possibly discover her body? The family doesn’t believe she would have. For the LaDues, the questions are many, but the answers are few. The case of Nikki LaDue January was discussed on Crime Wire Radio, Tuesday, March 15. Her mother Bonnie was a guest. It is so astounding to me how something like this was deemed suicide so easily. I have my opinion of what is was and who is to blame. He's guilty. and will probably get away with it like so many others. sickens me.